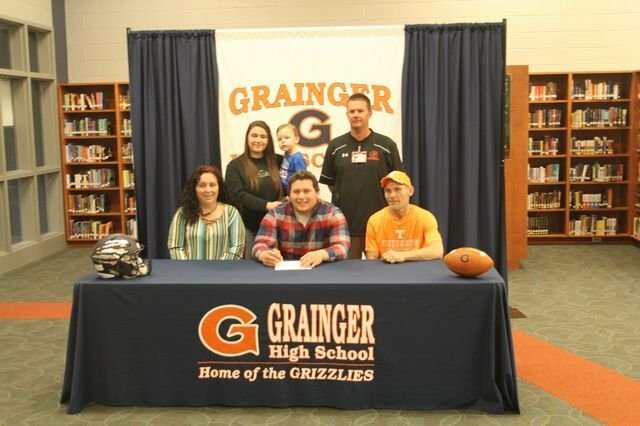 Clay Shipman signed with Carson Newman University and will be attending this fall. He will be joining the Carson Newman football team. He is photographed with his parents, sister, Cheyenne, and Mr. Chad Tate.